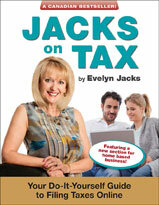 Evelyn Jacks Blog – Page 36 – Your Money. Your Life. Always Include a Tax Filter. To understand the amount of cash flow that is available, we must be able to measure income and capital on an after-tax basis at all times. Measuring wealth “before tax” can over-exaggerate the true amount of capacity one may have to use money when and how we need it. Measure Active and Passive Income. If one of the primary purposes of wealth is to have enough financial resources to replace your actively earned income from employment or self-employment, then we must have a plan to build income sources that stem from invested capital. Your money is your business, and therefore needs to be managed with strategy and accountable purpose. Liquidity and Purchasing Power. Will cash flow be available in the future when needed? What will it be worth? You may need to focus more on this in making investing decisions today, if you think the costs of fees, interest, taxes and inflation may rise. It can certainly help you greatly to be assisted by a professional services community that follows an inter-advisory, client-centred process for managing your family’s wealth. But in the end, it’s your money. You’re the boss of it. Thinking about the flow of your money over the long term, and on an inter-generational basis, can help you think about current market volatility over several economic cycles, rather than just the current one. Your decision-making will likely be different through such a lens. Does your relationship to your money define you? It’s an important question, because your emotional attachment to money can significantly influence your investing results. Money of course is neutral—it has no feelings and it doesn’t care*. When you identify your emotional connection to your money; and learn to deal with it objectively, you can move from a “present orientation” in your thinking towards a “future vision” for accumulating more capital (saving rather than spending), taking better care of it (stewardship) and sharing it with family members (reciprocity). This is important because you may think you want to get rich more quickly these days, given all the market volatility. In reality, it’s important to keep your eye on the ball. Confident and purposeful decision-making, behavior which enables you to live and retire in dignity, with enough resources to cover both needs and wants. Most important, thinking about affluence over time, rather than just for today, requires an afer-tax focus. In the end, it’s what you keep that matters. The March 4, 2010 Federal Budget was a cautious document in a post-financial crisis environment, delivering no additional tax increases for most Canadians, and some interesting tax changes. In particular, families, students and investors are affected positively, while executives and business owners have seen the last of tax loopholes surrounding stock option benefits. Are you affected? Check out our Budget 2010 tax tips below. More and more people are having cosmetic surgery and in some cases the costs will be tax deductible. A good example is reconstructive surgery required after an accident or an illness, like cancer. However, for expenses incurred after March 4, 2010, the cost of medical or dental services, or any related expenses, provided for purely cosmetic purposes, will not be deductible. This includes the cost of botox, liposuction, hair replacement or teeth whitening. Tax Tip: Medical expenses are often under-claimed. From glasses and dental work to hearing aids and their batteries, a host of medical expenses can be claimed in the best 12 month period ending in the tax year but is subject to a 3% net income limitation or $2,011 (whichever amount is less) for 2009. Tax Changes for Single Parents. Joint Custody of Children: Effective for payments received after June 2011, where a child lives more or less equally with two individuals who live separately, each of the individuals will be eligible to receive 50% of the amount of any Canada Child Tax Benefit, Universal Child Care Benefit (UCCB) and GST Credit received in respect of the child. Tax Tip: Each parent should invest these benefits in the name of the child to build up a great education fund, but also to avoid tax on resulting investment earnings. UCCB for Single Parents: Beginning in 2010, where the UCCB is received by a single parent, the parent may elect to include it either in their own income or in the income of the child who was claimed as an “eligible dependant”; that is one who qualifies for an equivalent-to-spouse tax credit. Where that child has little of no other income, this election will eliminate the tax on the UCCB. In addition, if the child invests the UCCB, resulting investment earnings are taxed in the hands of the child. Tax Tip: Be sure to invest the tax savings the parent earns from this reporting change; possibly in an RRSP to leverage the tax results. Child benefits should be invested in a separate account in the hands of the child.